Home Surveys What’s the Future of DTC Advertising? What’s the Future of DTC Advertising? What’s the Future of DTC Advertising? Will the Next Few Years Be a Boom or a Bust for DTC? This survey asks your opinion regarding the future of Direct-to-Consumer (DTC) advertising spending. 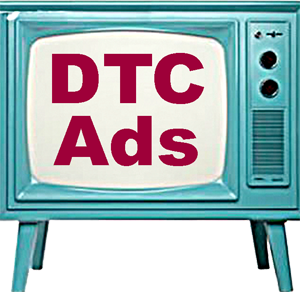 DTC advertising has surged recently despite the current political climate where DTC is being blamed for high drug prices. But the political climate is not the only factor that may impact DTC spending. Respondents to this survey are asked to predict whether measured media (broadcast TV, radio, and print) DTC spending will increase or decrease in the coming years. Competition with other forms of brand promotion such as via Internet search, social media, PR, etc. After completing the survey — it takes only 5 minutes — you will be able to see the de-identified results to date. What’s your view? Take the survey and tell us (you can view up-to-date survey results after taking the survey ).